It was the 12th of June 1999. Eleven days had passed since 8 Mountain Division (Mtn Div) of which, I was privileged to be the General Officer Commanding (GOC), had assumed operational responsibility of the Drass-Mushkoh sectors from the local formation. My Div was deployed in the Srinagar Valley since 1989 when Gen Malik, later the Chief of the Army Staff (COAS) during the Kargil War, had moved it from Nagaland . We had brought the insurgency under control in the valley and were now inducted in the Kargil sector to restore the situation in Drass. At the strategic level, besides embarrassing India, Pakistan’s aim was to internationalise the Kashmir issue, as it was losing its grip in the valley and had to do something sensational to bring the issue to international centre stage. Thanks to the media, Tololing had become a household name and had defied capture for the better part of three weeks. 18 Grenadiers was in contact with the enemy but unfortunately and due to no fault of theirs, were unsuccessful in overcoming the opposition. The battalion, a part of 8 Mtn Div had moved into the Drass sector with 56 Mountain Brigade, its parent formation, along with 8 Sikh and 1 Naga in mid-May 99. 1 Bihar also a part of the brigade had been placed under 70 Infantry Brigade of 3 Infantry Division (Inf Div) in the Batalik sector. The situation by the time my Div was given charge of the Drass sector was tense. Since mid-May we had not met with any success. Casualties were mounting and there was a discernible impression that Pak was having the better of us. To say that we were surprised would be an understatement. The fog of war was taking a heavy toll on troops who were fighting in the most inhospitable terrains with shortage of weapons and equipment. 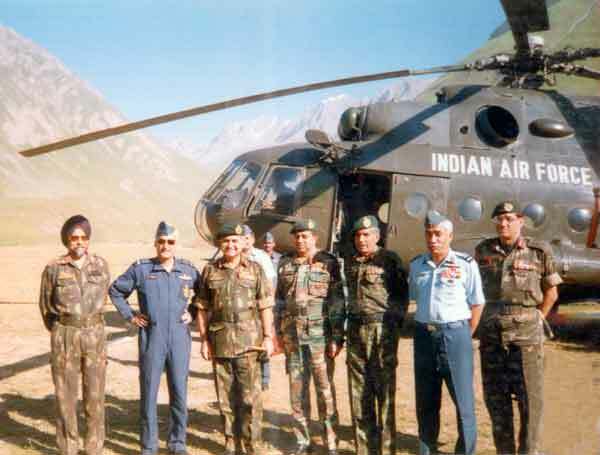 It was in this background that my formation was moved across the Zojila after deinducting from the counter-insurgency grid in the valley.Our orientation was directed towards fighting insurgency and suddenly with the developments in Kargil, we had to quickly change gear to meet the conventional threat from Pak. The record of the Div in the valley was noteworthy and we had earned a name for ourselves and established a good rapport with the local population. 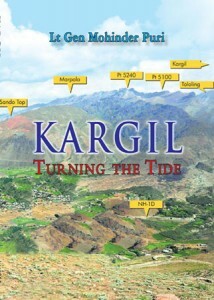 The decision to move the formation for the Kargil operations was a difficult one. While 8 Mtn Div was the Command reserve, moving it from the valley created a vacuum and the Rashtriya Rifles formations took some time to restore the situation. The timing of the Pak intrusion was intriguing and perhaps was the reason for its initial success, which took the Indian Army and the country by total surprise. 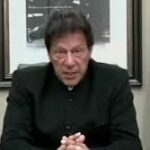 The perfidy of launching an operation when efforts were being made after the Lahore summit to improve relations between the two sides should serve as a lesson regarding the degree of trust with which we must respond to peace overtures by our neighbour. At the strategic level, besides embarrassing India, Pakistan’s aim was to internationalise the Kashmir issue, as it was losing its grip in the valley and had to do something sensational to bring the issue to international centre stage. Pak perceived that the political situation in India was fragile and in such an environment the Indian polity would not have the stomach to retaliate to any aggressive designs. 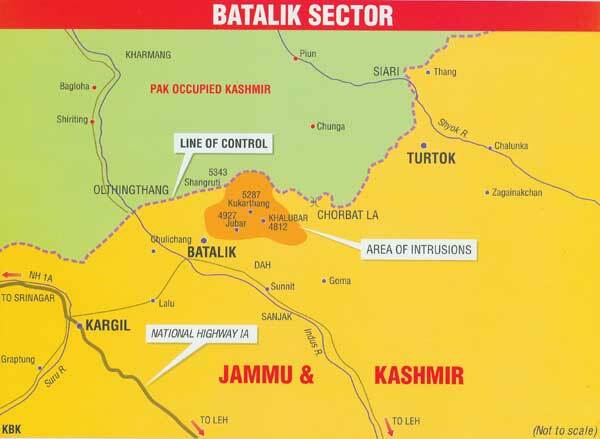 Militarily, Pak selected areas for the intrusions which would offer minimum resistance and where they could exploit the large gaps in the defences. 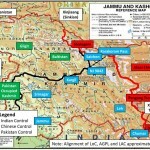 Also by launching such an operation, Pak aimed to secure maximum territory for strategic and tactical gains, change the status of the Line of Control (LoC), revive insurgency in the valley and elsewhere in J&K as well as isolate Ladakh from Srinagar. It was a highly ambitious plan and since it surprised the Indian Army, it met with tremendous initial success. We had perfected the employment of the Bofor guns in the direct firing role. The effect of the firing was devastating and most encouraging for our troops. However, at the strategic level there were many loopholes in the plan. To a trained military mind it appeared to be bereft of any consideration of the end result and the gains that would accrue. It was obviously not war gamed with a wider audience, perhaps due to the over zealousness to keep the proceedings restricted to a few confidantes. The fact that the Pak Corps commanders and the other two service Chiefs and the PM were kept out of the planning loop is itself indicative of the amateurishness in planning a major operation of this nature across the LoC. The terrain in which the operations were conducted was rugged with precipitous slopes and heights varying from 18000-21000 ft. The inhospitable and daunting terrain took a heavy toll of men and material. The extreme high altitude made breathing difficult and movement sapped one’s energy. Our initial failure to evict the intrusions could well be attributed to lack of acclimatization of the troops. Ladakh was served from Srinagar by the highway to Leh which remained closed from end Nov till May due to heavy snow. The road was used during fair weather period for the logistic stocking for the military garrison and the local population of Leh which was indeed a Herculean task. It was on heights dominating the highway that Pak infiltrators intruded and began to effectively interdict movement on the main road axis to Leh. The timing of the intrusion was hotly debated in the media and in military circles. While there were wild claims that the intrusions had occurred as early as Dec 1998, the stocks recovered by us from the captured posts and staff checks done by us gave ample indication of the intrusions having taken place sometime in end Feb/early Mar timeframe.It was on 27 May, 1999 early morning that I was summoned by the Corps Commander to accompany him, during his conduct of the Defence Minister and COAS to the Drass and Kargil sectors. The decision to either launch 8 or 6 Mtn Div had been under active consideration for sometime. The SWOT analysis was well balanced for either formation to take on the task of evicting the intruders from the Drass-Mushkoh sectors, but perhaps what weighed in favour of 8 Mtn Div was that it had been operating under 15 Corps ever since the early ‘90’s and was a part of the Corps. Also troops operating in insurgency ridden areas had been blooded in battle over the years and were better suited for an immediate response; albeit after a reorientation capsule for conventional operations.It was during this visit that the COAS called me aside at Drass and gave me the operational responsibility of evicting the intruders from Drass-Mushkoh sectors. 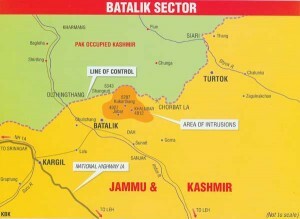 I am also certain that the Corps Commander, Lt Gen Krishan Pal had the last word in recommending 8 Mtn Div for the task. I had mentioned two issues to the COAS; first that we should be prepared for casualties, and the second that there should be no haste in progressing operations. It is to the credit of the higher leadership that while at times pressure was exerted, which is natural in such an environment, there was no one breathing down my neck to hasten the operations. Employment of air per se was a morale raising factor for our troops and conversely it had an adverse effect on the enemy. But its effectiveness was questionable. Pak intruders had established a large number of posts on heights dominating the national highway and Mushkoh Valley. Unfortunately for Pak, the highway opened in early May, mainly due to a lighter snowfall in the winters and efforts of the Border Road Organisation. Nevertheless, the intruders effectively dominated the road and made vehicular movement difficult during daytime. The enemy was well armed and depended more on fire power than manpower. With automatic weapons, it had covered all the important nalas, ridges as well as supply routes leading onto his positions. From these positions, it sent out small parties to engage any movement of our patrols dispatched to gain information of its location, defences or troops attempting to capture the posts. The defences were well sited and coordinated, and control of fire including illumination plan was very effective. The enemy’s minor tactics of firing and quickly shifting its position was paying dividends and kept us guessing of the actual strength and main defences. Pak had consistently declared that the intruders were mujahids and no regular troops were a part of the operation. We too initially felt that the intruders may have been mujahids adequately supported by regular troops. However, it soon became clear to us, particularly after the recovery of two dead bodies by 3 Inf Div with army identifications that the intruders were without doubt regular soldiers. Also from their tactics it was evident that the claims of the intruders being mujahids was totally false. Later, my Div buried 140 Pak soldiers belonging to the Northern Light Infantry (NLI). These were the gallant men who had laid down their lives for their motherland but in return were not even accepted by their country and were denied the honour of being given the last rites by their nation. By this time it was also clear to us that there were the better part of three NLI battalions deployed in the Drass-Mushkoh sectors. Later, an Frontier Force battalion was inducted into the sector as reinforcement. former GOC, 8 Mtn Div. I may request IDR to please provide a photo feature on kargil War to remember or brave martyrs, please. I hAVE SERVED WITH U IN 95 iNF bDE, 8 mTN dIV AND aHQ. mT SON IS APPROCHING ME TO ENROL IN THE aRMY. mY BROTHER WAS ALSO IN 14 gtc AND AS HAV.CLJ.. pLEASE HELP ME.